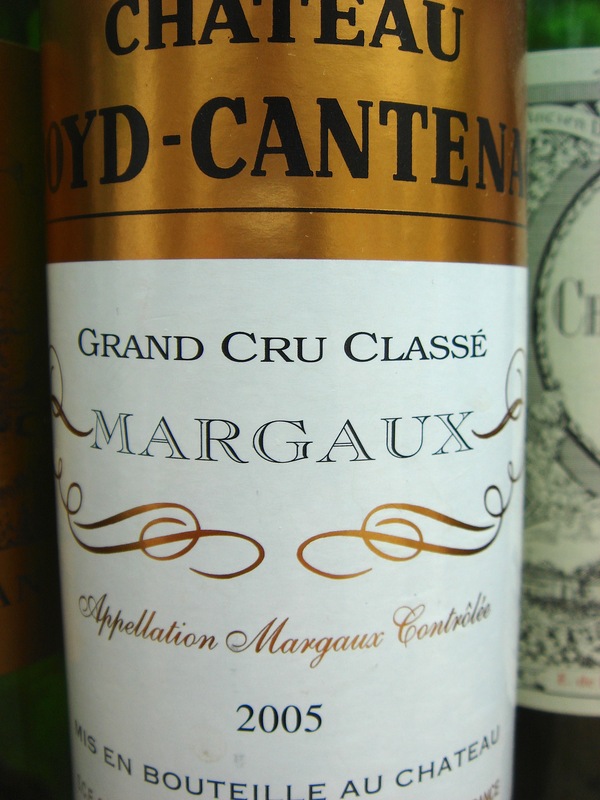 One of three Margaux estates with commune name Cantenac in them, the others being Château Brane-Cantenac and Château Cantenac Brown, Château Boyd-Cantenac was created in 1754 by Jacques Boyd a Frenchman with Irish origins. The estate was bought by John Lewis Brown in 1806 and was designated a third growth in the 1855 classification. It was then owned by the Ginestets until its sale to the Guillemet family in the early 1930s who remain the owners today. Along with Château Pouget, also owned by the Guillemets, Château Boyd-Cantenac remains one of the more obscure of the Margaux crus classé. It has had a reputation for inconsistency in the past but whatever the quality of the older vintages the 2005 and 2009 tasted recently were both top drawer. Vineyard: 17 ha [42 acres], sandy gravels on the Cantenac plateau, average vine age 38 including 60% Cabernet Sauvignon, 25% Merlot, 8% Cabernet Franc and 7% Petit Verdot. Vineyard density 10,000 vines per hectare. No chemical fertiliser used. Winemaking/Elévage: Vinification in stainless steel and concrete tanks with temperature control with a two to five week maceration depending on the vintage. Twelve to eighteen months ageing in oak barriques [made from split as opposed to sawed staves], 30-60% of which is new wood. Malolatic fermentation is partly done in barrel and the wine is given extended lees contact. No filtration since 1997. Second wine Jacques Boyd.